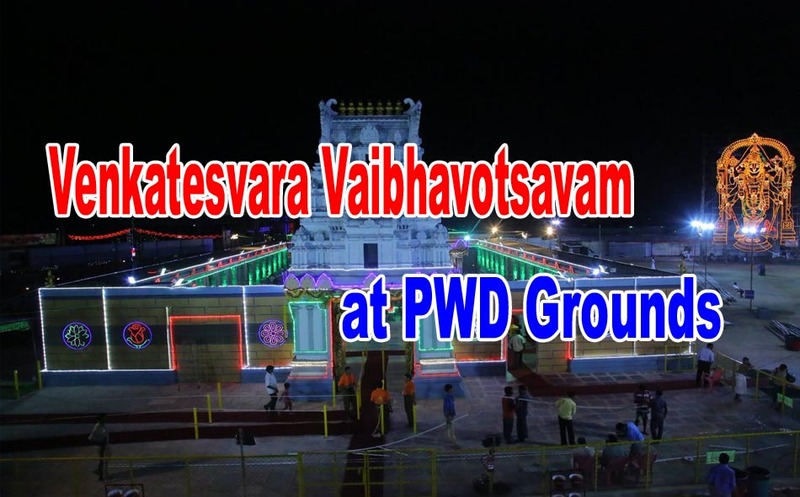 The Tirumala Tirupati Devasthanam (TTD) will conduct Sri Venkateswara Vaibhavotsavam in a big way at PWD Grounds in Vijayawada from July 2 to 9. The event is meant to replicate all the paid rituals (Arjitha Sevas) performed from dawn to dusk at Tirumala viz., Suprabhata Seva, Thomala, Archana, Nivedana, Sahasra Deepalankara Seva and Ekanta Seva, and bring them before the devotees at remote locations, with the grandeur and spiritual ecstasy intact. After receiving overwhelming response from the public for its previous events in various parts of the State, the TTD management chose to hold the event in Vijayawada. A replica of Tirumala temple will be set up at PWD Grounds for Venkatesvara Vaibhavotsavam.